Best known for such bestselling children’s and YA graphic novel series as Adventure Time, Steven Universe and Lumberjanes, indie comics house Boom! Studios is looking for a new hit with The Not-So Secret Society, an original middle-grade graphic novel that will be published by its children’s comics imprint Kaboom in Summer 2017. 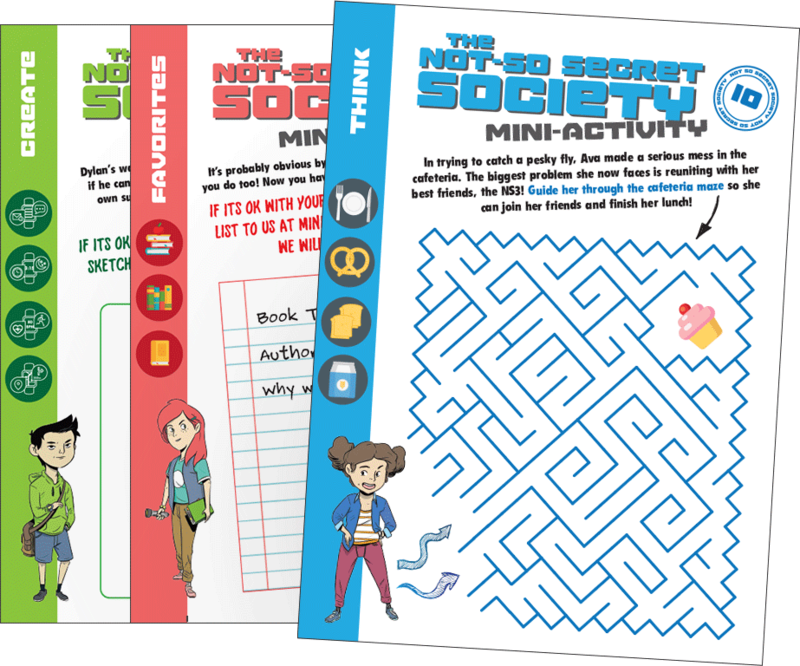 The Not-So Secret Society is the story of a group of five ordinary 12 year old friends that go to school, hangout after class and have “awesome adventures,” said Arune Singh, v-p, marketing Boom! Studios. The book features a diverse group of young characters in “adventures that celebrate the value of teamwork, embracing difference, exploration and learning and lifelong friendships,” Singh said. Produced in collaboration with Macrocosm Entertainment, a creative production house that produces comics and other media, The Not-So Secret Society is written by the team of Matthew Daley and Arlene Daley, co-created by Trevor Crafts and Ellen Crafts, with artwork by Wook Jim Clark. The book will go on sale for $9.99 in July. Singh said the release of the standalone graphic novel will feature a “multi-level launch that will help to define the Boom! Studios program for the book market.” The book’s publication will be preceded by the release of 25 weekly digital mini-comics, available for free online at TeamNS3.com beginning January 31. The 25 weekly comics will also be collected and included in the book. In addition, the book will feature supplemental educational content—including a science and technology component—as well as other educational activities aligned with Common Core standards. There’s also a newsletter that will be updated regularly with new educational and entertainment activities. Co-creator Trevor Crafts said The Not-So Secret Society will be the first book in a series: “We have plans for two more graphic novels featuring The Not-So Secret Society.” He said that the weekly digital mini-comics will introduce the book’s main characters—Madison, Aidan, Emma, Dylan, and Ava—and give their backgrounds. Singh said the book was Boom’s latest effort to celebrate and deliver diversity to a comics marketplace that is demanding a wider variety of material, particularly aimed at children and young adults. “The Not-So Secret Society reaffirm’s Boom’s commitment towards broadening the comics readership with a diverse array of high-quality storytelling that crosses all genres and demographics,” Singh said.